Bubble Tea. BUBBLE MANIA® - the official website of the international Bubble Tea Teahouse Chain. BUBBLE MANIA® is 3 years old! BUBBLE MANIA®, one of the most recognizable brands on bubble tea market, is 3 years old. In 2012 the company opened the first Bubble Tea outlet in Saint-Petersburg, Russia. Since then, the teahouse chain has grown many times, opened not only in Russia, but also in neighboring countries. 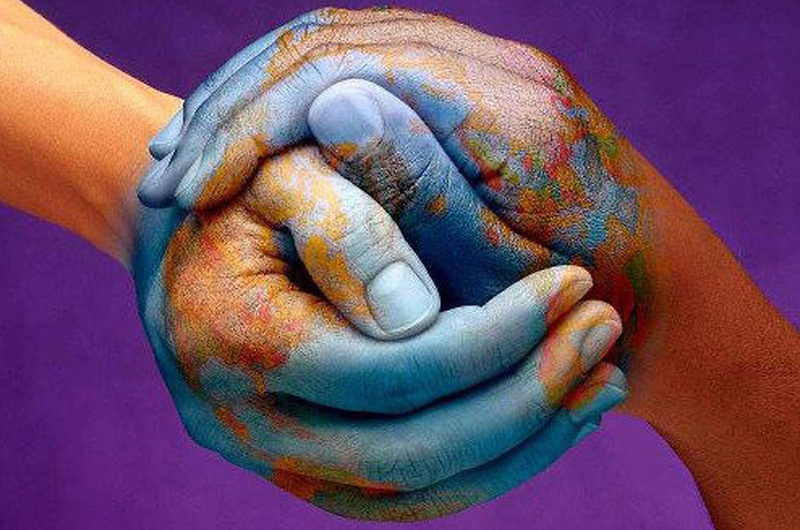 We are international company that unites Bubble Tea lovers from all over the world! 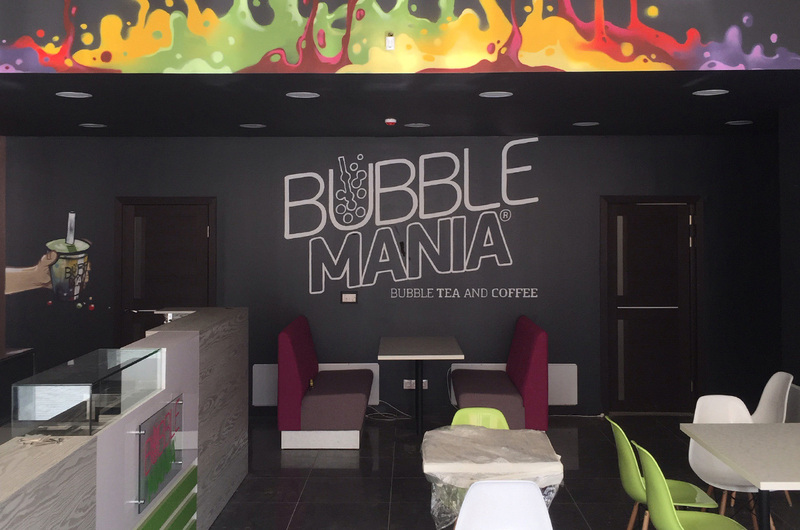 BUBBLE MANIA® opened the first of three tea stations in the city of Almaty! We invite all fans of Bubble Tea enjoy your favorite cocktails of excellent quality! on the market offering the legendary drink from Taiwan by original recipe. Bubble Tea is an unique tea cocktail from Asia. A legend tells that Bubble Tea was created in Taiwan by Master Chang who offered his customers a drink with tapioca..
Don't lose Yourself in all the vanity of life – add some cheerful colors by visiting our cozy cafe where You can relax and drink Your favorite Bubble Tea! Bubble Tea firstly appeared in Taiwan in the 80s. As the legend tells, unknown Taiwanese family made an experiment by mixing black tea and tapioca – starch flour made from manioc roots.. BUBBLE MANIA is 3 years old! BUBBLE MANIA®, one of the most recognizable brands on bubble tea market, is 3 years old. In 2012 the company opened the first bubble tea outlet in St. Petersburg, Russia. Since then, the teahouse.. Famous chain of bubble tea houses BUBBLE MANIA® translated their official website into English, as well as package of documents provided to franchise partners. This step was taken as part of new.. BUBBLE MANIA® implemented a repositioning of the brand, due to the dynamic growth of the chain and the expansion of its geography, as well as changes in its marketing policy. 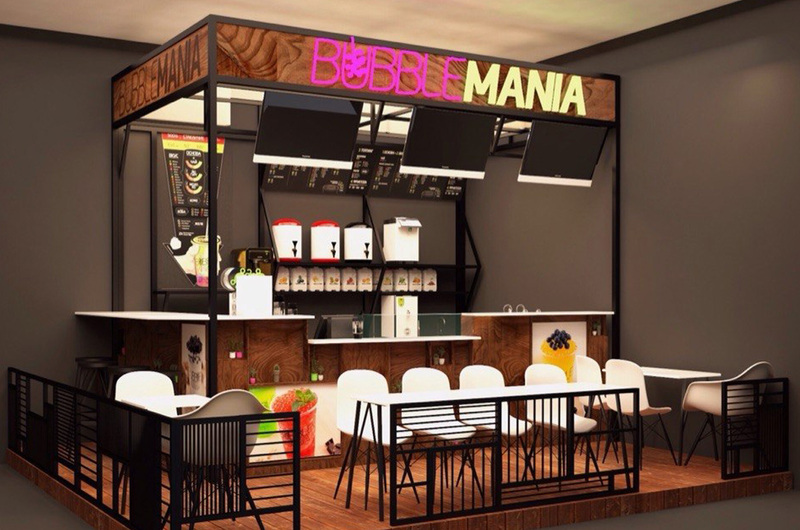 The new draft of the bubble tea branch store..
Congratulations to BUBBLE MANIA® Kazakhstan with opening of the first branch! 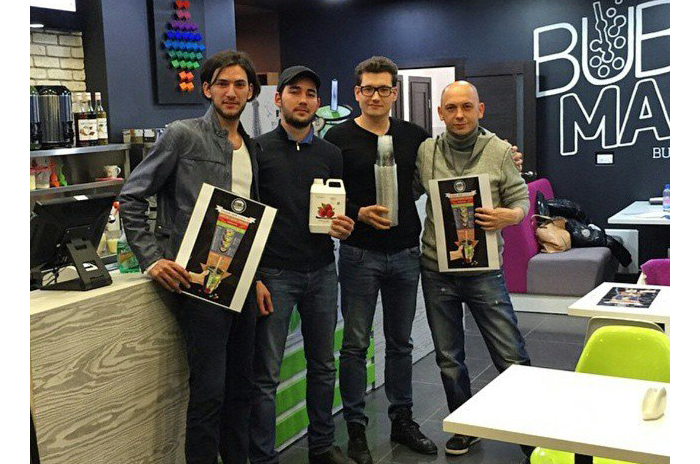 On March 6, 2015 was opened BUBBLE MANIA® Almaty tea station in the heart of this beautiful city.. 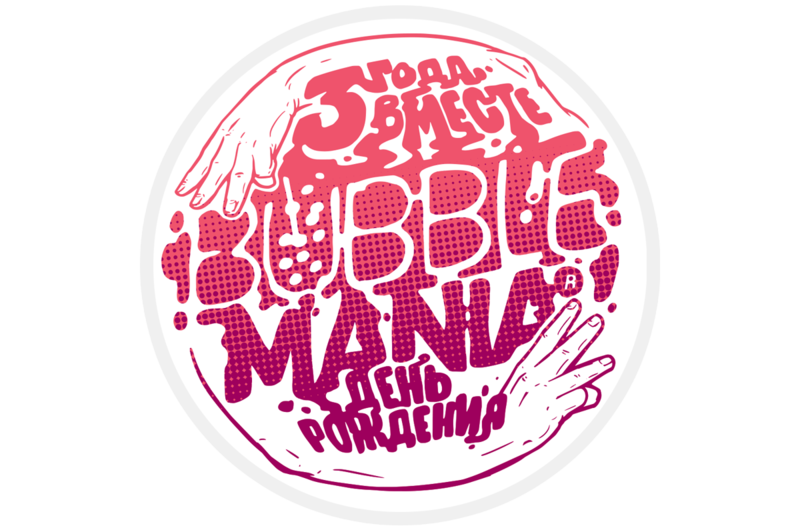 Launching of BUBBLE MANIA® in Kazakhstan on March 6! The first tea station is opening in Almaty on March 6th at Gogolya str., 75..
How to save money during recession? During last couples of months Russian rouble fell at 20%, and expert predictions become more disturbing. But don't panic. 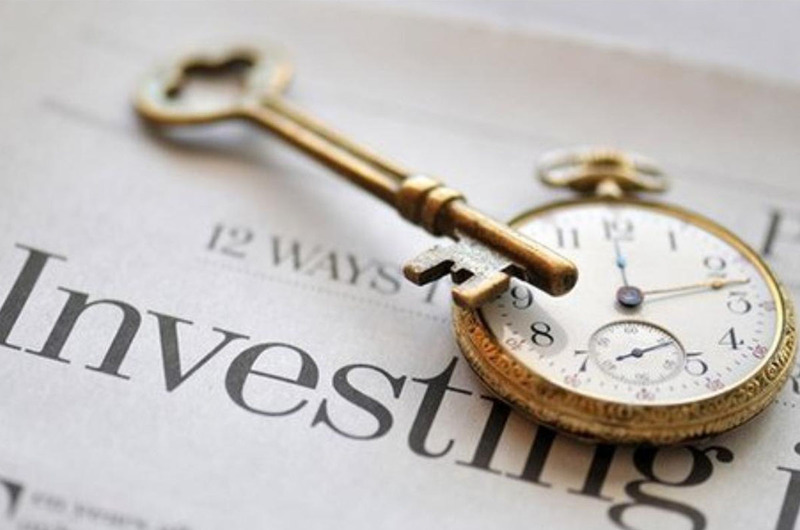 The key to maintain financial welfare is.. Bubble Mania Club (BMC) launch Soon we are going to launch a new project, taking a part in which you will be able to enjoy unique offers (only for Bubble Mania Club members), attend special events and receive valuable prizes! Посетили Bubble Mania! Очень радужная и уютная атмосфера :) Больше всего понравились топпинги (лопающиеся шарики с фруктовым соком внутри. Рекомендую @bubblemaniaru! Самые вкусные безалкогольные коктейли только в Bubble Mania, на любой вкус! Ассортимент @bubblemaniaru превосходит все ожидания. Встала не с той ноги, день не задался.. Поднимаем настроение в Bubble Mania! Спасибо, что вы есть @bubblemaniaru.